Sandra Ann Burton Barker, age 75, of Slate Branch Community, Somerset, Kentucky, passed from this life on Friday, September 28, 2018 at Hospice of Lake Cumberland Jean Waddle Care Center. She was born on November 29, 1942 in Nancy, Kentucky, daughter of the late Delno and Lucille Muse Burton. Sandra was a homemaker and a farmer. She enjoyed gardening, canning, cooking, being outdoors and was an avid UK Basketball fan. 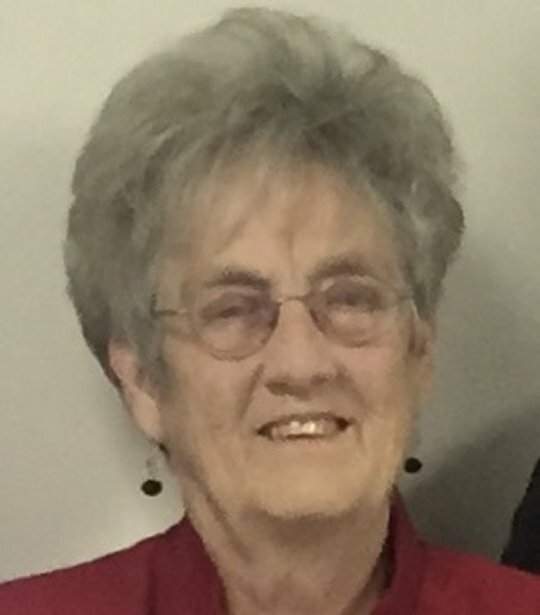 She was a former Sunday school teacher and member of Slate Branch Baptist Church. She will be missed by all who knew and loved her. She was preceded in death by her parents, her husband Jerry Lee Barker; her brothers Jack Wayne Burton, Harold Burton, Brent Burton, Danny Burton, Joel Harold Burton, James J. Burton and Robert Burton. She is survived by sons Jerry Dean (and Shanna) Barker of Nancy and Jeffery Lee (and Ramona) of Crab Orchard; daughter Deanette (and Jerry) Mink of Slate Branch, brothers Larry (and Lynn) Burton of Nancy, Mike (and Brenda) Burton of Nancy, David (and Christine) Burton of McCreary Co. and Lanny Burton of Somerset, sisters Neva (and Arthur) Troxtell of Bronston and Judy (and Gary) Morris of Somerset, grandchildren Chris (and Sarah) Mink, Craig (and Heather) Mink, Brittany Burke and Brandon (and Elise) Barker. Visitation will be at 1:00 p.m. on Sunday, September 30, 2018 in the Chapel of Southern Oaks Funeral Home with funeral service to begin at 4:00 p.m. at the funeral home with Bro. Gilbert Robinson and Bro. Tyler Ford officiating. Graveside Service will be at 11:00 a.m. on Monday, October 1, 2018 at Lakeside Memorial Gardens. Southern Oaks Funeral Home is entrusted with the arrangements for Sandra Ann Burton Barker.